Pierate - Pie Reviews: Hungry for pie-eating success? Pie eating Competition! Hungry for pie-eating success? Pie eating Competition! A pie eating competition of any sorts sounds pretty exciting. Imagine the glory that your feats of pie eating would bring if you won? 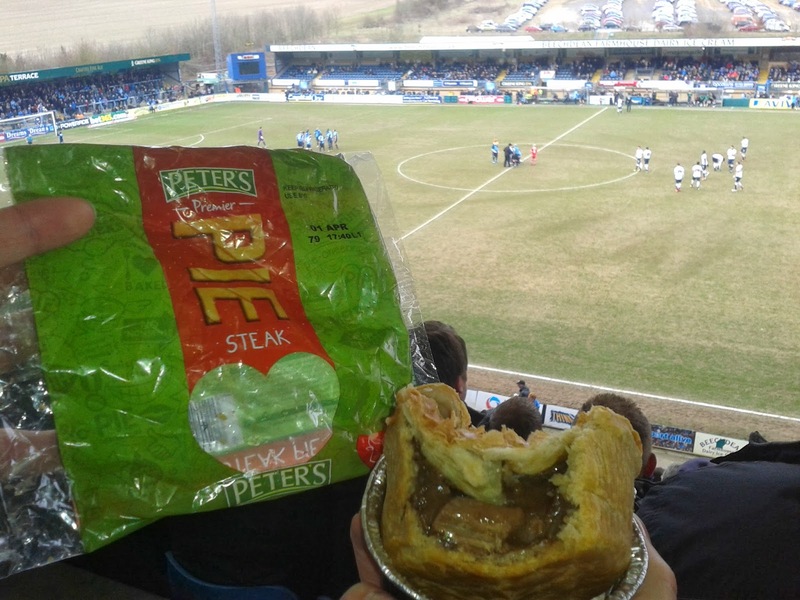 The chance to gorge on pies while people look on and cheer is the stuff that dreams are made of. But what if you could stuff your face full of pies AND raise money for charity?! Well with Peter's pies you can do just that! Peter's pies have teamed up with George Thomas Hospice Care in Cardiff to bring you a charity pie eating competition! There are men and women’s challenges in two categories: fastest pie eaten and the most pies eaten in ten minutes. The competition is free to enter; all challengers have to do is raise sponsorship for the hospice before they compete. The event will be held at 7pm on Monday 24th February in Walkabout on St. Mary’s Street, Cardiff. Good luck from the Pierateers to all who enter!